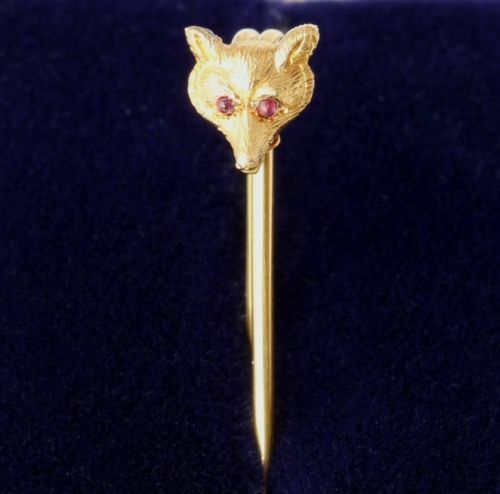 Antique 15ct Gold Fox Head Mask Brooch / Hunting Tie Pin Clip Ruby Eyes. 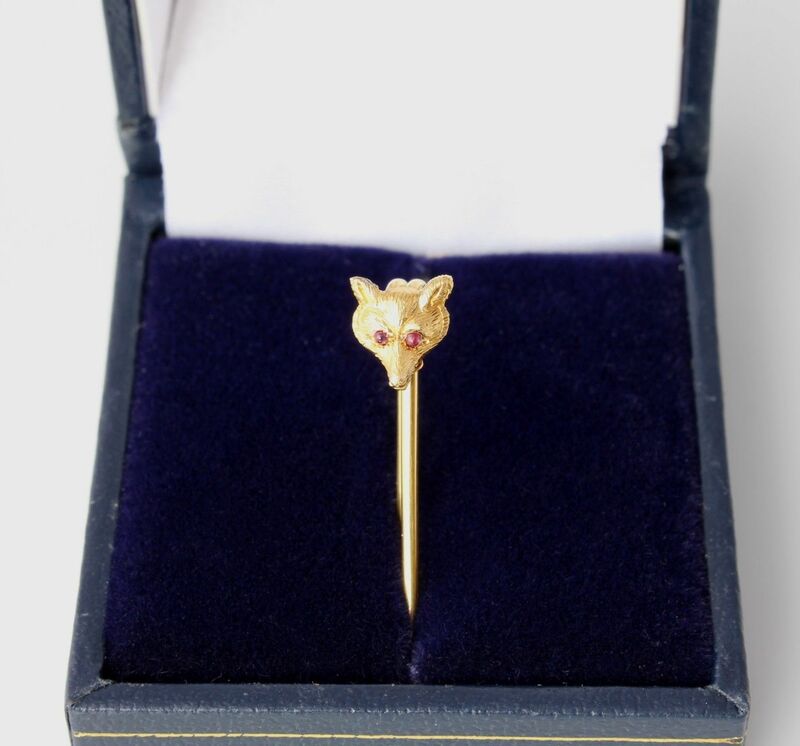 This wonderful foxy brooch / tie pin that dates from c1900 has a 15ct gold head of a fox with ruby eyes and is mounted on a 9ct gold pin. 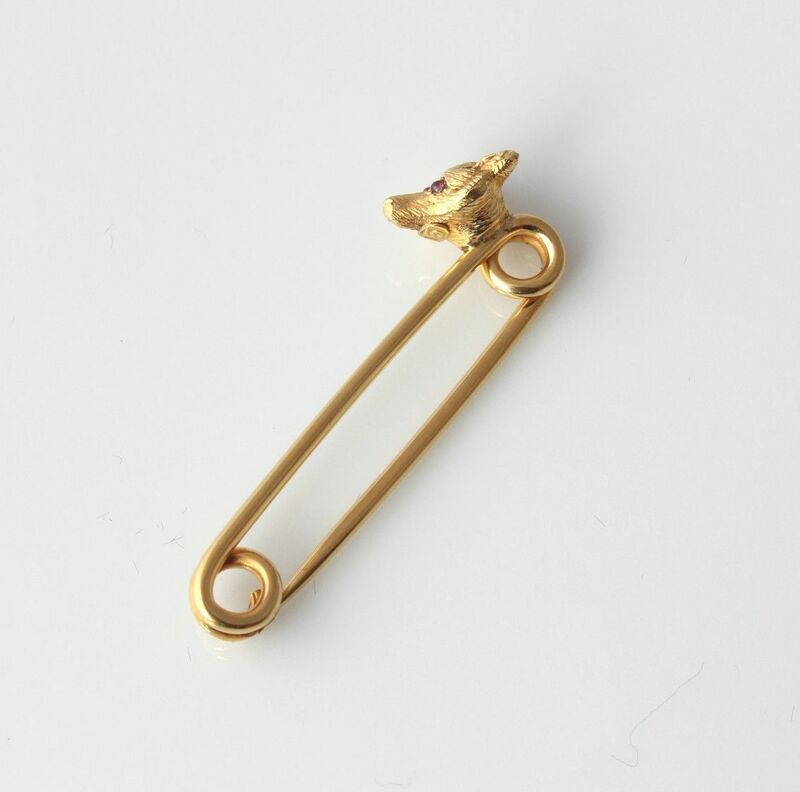 A very nice brooch that also makes a wonderful tie pin and a wonderful gift. 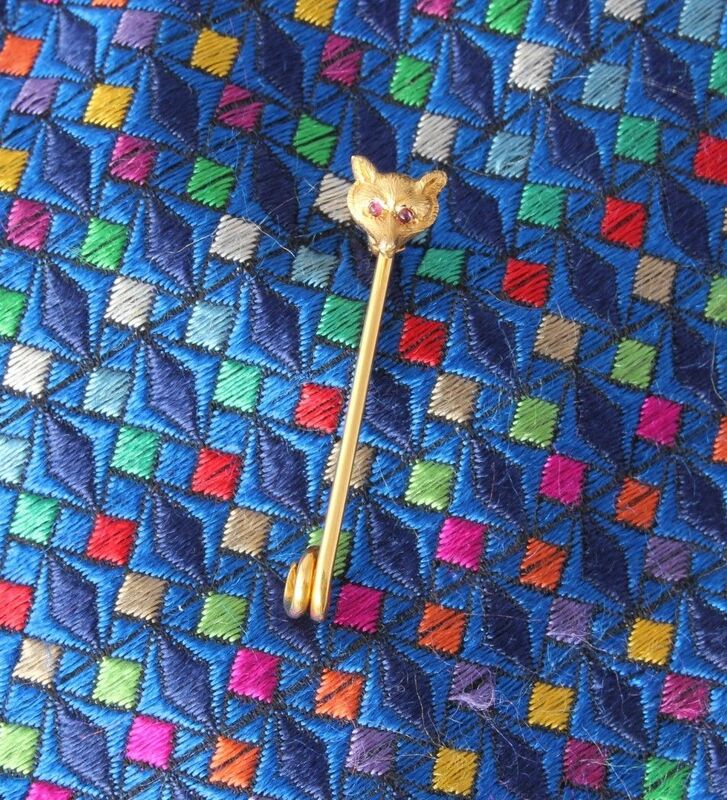 Materials: 15ct yellow gold fox head on a 9ct gold pin. Ruby eyes. Hallmarked: 15ct on fox head and 9ct on pin. 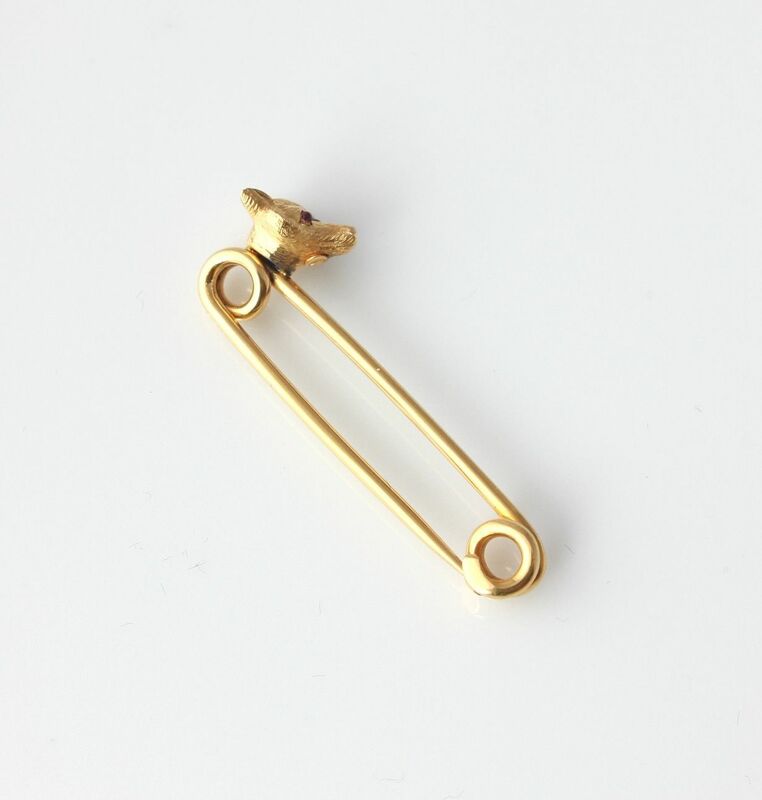 Length of Brooch: 33 mm ( 1 1/4 ") approx. Comes in a new box. Condition: Excellent antique condition. Cleaned and ready to enjoy. Please see pictures. Comes in a gift box.